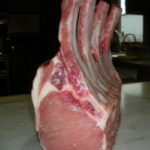 6-7 pound 100% pure heritage berkshire pork crown roast with 1 inch frenched tips! 8 bones. Tied in a crown shape, it could be laid flat also. Cook to an internal temp of 145 degrees, (about 2.5 hours @ 325 oven, uncovered, on shallow baking pan) then let rest for 15 minutes before carving. Juices will reasorb and be the juciest roast ever! Need a bigger roast? Got more hungry guests? 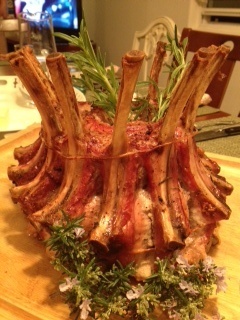 Add a 4 bone rack of loin frenched roast to this crown and feed your army of guests! I ordered this roast. It was simply superb! 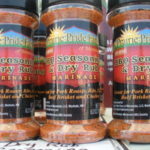 It was so good that I ordered 2 more to serve for Christmas dinner. The taste and tenderness of this cut far exceeded my expectations. Thank you Prairie Pride! As a follow up to my previous post, I was the hit of Christmas dinner. The crown pork was once again superb and everyone raved! 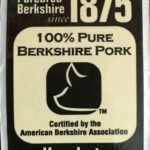 This is a delicious cut of pork.